1. Pick a single person past or present who works in the film industry you would like to have dinner with. And tell us why you chose this person. 2. Set the table for your dinner. What would you eat? Would it be in a home or at a restaurant? And what would you wear? Feel free to elaborate on the details. 3. List five thoughtful questions you would ask this person during dinner. 4. When all is said and done, select six bloggers to pass this Meme along to. 5. Link back to Lazy Eye Theatre, so people know the mastermind behind this Meme. It’s marvelous just how simple and elemental some of the great silent comedies are. 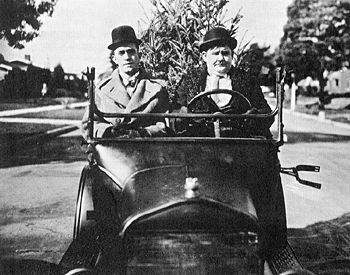 This short has Stan and Ollie as salesmen trying to sell Christmas trees door-to-door. It starts out as Simple Stan vs. Know-It-All Ollie and their not quite being on the same page, particularly vis-a-vis what went wrong last time. But then things change when they try to sell to an aggressively uninterested James Finlayson … now it’s Stan-and-Ollie united against Finlayson in a destructive game of one-upmanship. BIG BUSINESS quickly becomes very funny for two reasons: 1) the totally civilized nature of the destruction for a very long time — each party waits his turn to destroy something of the other’s; and then 2) the thorough, obsessive nature of the destruction when it becomes simultaneous — it’s not enough for Finlayson to put a dent in the boys’ car, no … he has to rip it apart piece by piece until it’s just a hunk of scrap. And he does. While Stan & Ollie are destroying his home. One thing though — a commercial DVD projected onto a big, auditorium-size screen looks like crap. I saw this silent masterpiece, about Buster’s efforts to get married by 7 pm lest he lose a million-dollar inheritance, for the first time in a theater. But, like with FOOLISH WIVES, it had a musical accompaniment about which I wasn’t crazy going in. The “avant-cabaret band” Anne Watts and Boister played some very anachronistic music (e.g. a rearrangement of the main hook from Pink Floyd’s “Money” when the will is discussed) and did quite a bit of sound effects. 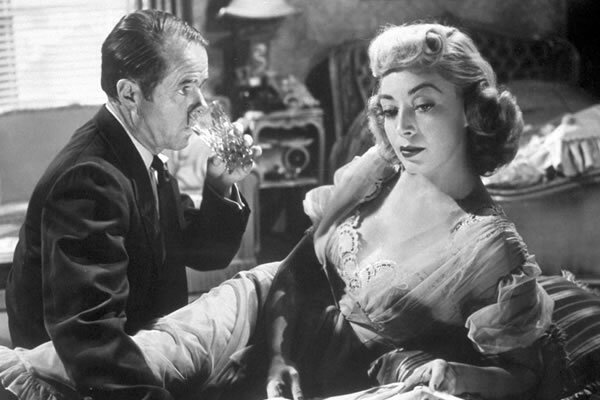 But again, like with FOOLISH WIVES, I found myself increasingly not caring as the film progressed. 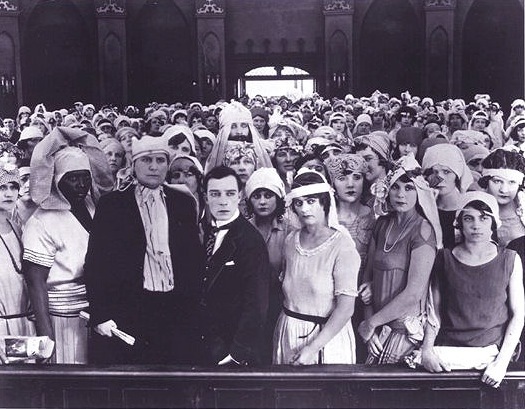 If a silent film is great, and SEVEN CHANCES is, it absorbs and recodes the score rather than being absorbed and recoded by it. I stopped hearing the anachronisms and heard only the band’s jaunty, lilting beat, underlining the film. Which is wonderful as ever. Keaton’s creative visual sense (the framing of the opening sequence of shots; the automobile dissolves); the way he shades gags as the plot moves along, like a musician developing variations on a theme (we get nearly every variation possible on the ‘impossible proposal’ theme); there’s the great chase scene (one of the most images in silent-film history is the Great Stoneface avoiding the boulders), but just as good is … uh, a football field; plus, there’s Snitz Edwards, one of the great silent-film supporting characters. Simply one of the greats. A terrific premise squandered by self-indulgence. The director’s grandmother was one of a gang of about a half-dozen who committed the only bank robbery in Communist Romanian history. 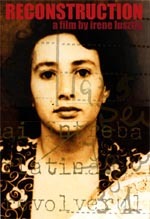 After catching the robbers, the dictatorship made a 1961 police procedural film called RECONSTRUCTION that forced the robbers to re-enact their crime for the benefit of the film. After the film was over, all the men were executed and the grandmother’s death sentence was commuted to life imprisonment. Now, Lusztig has the 1961 film, which begins this current movie of the same title, and returns to present-day Romania to discover all about the crime and her grandmother — an unspeakable subject in her Jewish family while she was being raised in the West. It’s a terrific premise, full of historical, personal, political and cinematic-critical places to go, but Lusztig concentrates on the least interesting angle — the relationship between her, her mother and her grandmother and other family issues. It’s not that the resulting film is actively or aggressively bad (it’s sometimes affecting, particularly involving the resentments the mother had toward the grandmother); it’s just so personal and hermetic that it’s hard to see why anyone outside Lusztig’s family should care about it. That’s what’s self-indulgent about RECONSTRUCTION — it’s not arty or rambling or bombastic (though there is way too much lumpy metaphor early on in the voiceover — try “our family was like Japan, an island fallen in upon itself” or “I must start this story from somewhere. But that ‘somewhere’ would have a background too” as a bar pickup line sometime). It’s like somebody inviting you over to see his home movies from his Paris trip and it’s all pictures of himself and his friends, and imprints of the Sylvia Plath poems he wrote in his journal. With subject matter this good, that’s not good enough. 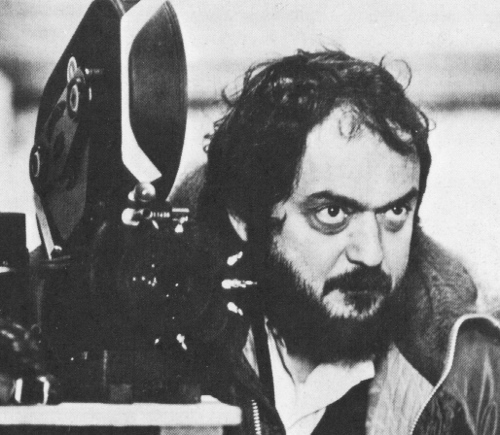 First time I saw this film, the earliest film Stanley Kubrick owned up to (his third overall), on a big screen. Compared to the kind of visual wonders that Kubrick made late in his career — 2001, A CLOCKWORK ORANGE or EYES WIDE SHUT — THE KILLING doesn’t really gains very much on a theater screen over TV and video. It’s a clever heist film, set at a racetrack and shot cheaply with lots of voiceover, and works mostly as an intellectual puzzle (note: hint of later tendencies). Kubrick juggles the time sequence around, and used the same shots of the start of the seventh race in about five different places and shows the same scene (e.g. the fight at the bar) shot from a different character’s POV to enhance the film’s fated, ritualistic, incantatory quality (note: hint of later tendencies) and to comment on perspective (note: hint of later tendencies). Contributing to the terrible overlay of fate, the omniscient narrator explains or shows at several points how things might have worked out a difference of one minute here or a few steps there (note: hint of later tendencies). But things of course don’t work out because of a fluke (note: hint of later tendencies). The finest moment in THE KILLING though is all its own — the shot of the loot from the heist being blown to the wind, to the noise, as the camera holds obsessively on the money stack until the last bill blows away. Every. Last. One. Pleasurable comedy once it gets started after an unforgivably long orchestral overture, with shots of the orchestra filling up every damn inch of the “V i s t a V i s i o N” screen. 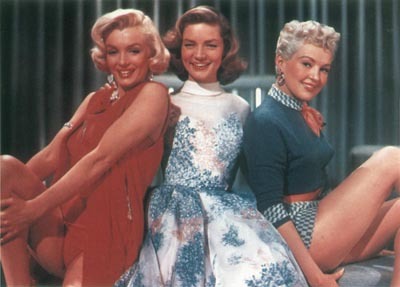 I’ll leave it to the feminists to actively complain about a film about three models (Marilyn Monroe, Betty Grable and Lauren Bacall) setting themselves up in a fancy Manhattan pad they can’t afford in order to nab a millionaire for marriage, and soon. (Though when you think about it, it does play like a comic version of the radical feminist argument that marriage is a form of prostitution.) But this flaming reactionary will admit that he found the premise of blatant Material Girl-ism and men as prey to be kinda dumb and discomforting, like a distaff MAN SHOW. And the filmmakers know it; the plot plays out as if already rebutting charges of being an apologia for gold-digging — the only one to marry a millionaire does so unintentionally. Don’t even think about what Lubitsch could have done with this cast and story — you’ll only drive yourself to tears. Still the film has Marilyn’s face, Bacall’s legs and Grable’s voice. And Grable, rather than Marilyn plays the dumb role. And you see Marilyn wearing glasses. And you see Bacall flaunt her calves. And you get the 1950s-movie version of the maxim about what men don’t do to girls who wear glasses (and no … that’s NOT it). Before I actually say anything about this movie proper, let me to rant about the title the English-language distributors have given it. The film’s title in Russian is “OLIGARKH” according to both the IMDb and my viewing notes (I can read the Cyrillic alphabet, though I know the language not at all). So why translate that title into English as “TYCOON,” since the cognate “Oligarch” is a perfectly good English word that would have fitted this movie just fine? 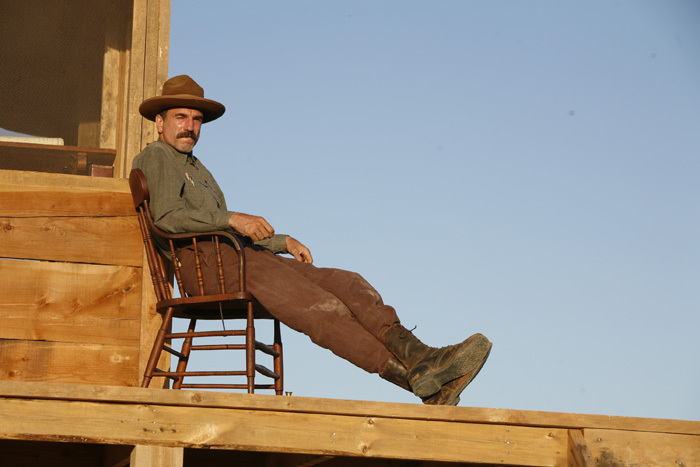 Plainly … to give Western art-house audiences a socialist warm fuzzy (“this is what a ‘tycoon’ is … boooooo”), despite the events in this movie having nothing to do with capitalism as practiced in the West (though it’s clearly how Russians see the system they have that goes by the name “capitalism”). And that is precisely what makes OLIGARKH interesting as a film. It invites comparison to CITIZEN KANE in terms of its structure (an investigator tries to learn about a newly dead man through his friends, which become flashbacks in the movie), and that’s not a good comparison to invite … Newsflash: This movie is *not* as good as CITIZEN KANE. OLIGARKH, a roman a clef supposedly based on the life of Kremlin power broker Boris Berezovsky, covers a lot of ground in 130 minutes, which is both its strength and its weakness. Its strength in the sense that it takes up the insane ambition of telling The Russian Story, trying to be the film that sums up its era, and OLIGARKH would be an important and interesting film almost for that reason alone. 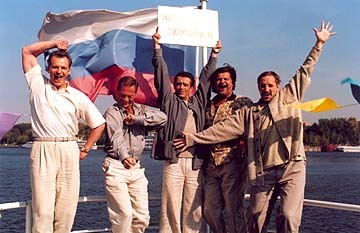 But it has some very funny scenes, my favorite being Viktor taking an economics oral in the days of Scientific Socialism, and Lounguine also has a knack for the iconic image (the yachting party and the Navy veterans being reduced to being a backing band for these Bright Young Things). However, the vice of this virtue is that the film feels rushed at times, as though it wants to tell us *everything,* and some of the Kremlin machinations late in the film left me a little confused. Maybe that was the point too.